Home/Attractions, PRCA Rodeo/Tickets are now available at local ticket outlets! Queen Creek, AZ – 2018 Roots N’ Boots PRCA Rodeo tickets and discount carnival tickets are now on sale. This Queen Creek signature event will be held March 15-18, 2018 at Horseshoe Park and Equestrian Center (20464 East Riggs Road, Queen Creek, AZ 85142). PRCA Rodeo and pre-sale carnival passes are now on sale at RootsNBoots.org or at the following Queen Creek locations. It is recommended to call for hours of operation and ticket availability as not all outlets have all ticket types available. Queen Creek Performing Arts (22149 E Ocotillo Rd, Queen Creek, AZ 85142) – (480) 987-7469. The PRCA Rodeo will be held at 7 p.m. on Friday, March 16 and Saturday, March 17. A 3 p.m. matinee will be held on Sunday, March 18. 2018 PRCA Rodeo tickets are priced at $16 per adult general admission and $7 for children 12 and under. A Family Pack including two adult and two children general admission tickets is $40. Box seats are $24 each and box seats or general admission for active military and veterans (one ticket per valid military ID) is $10. Gates open 2 hours prior to the start of each rodeo performance. The carnival will be open Friday through Sunday. Discount carnival tickets are priced at $18 each and can only be purchased prior to Roots N’ Boots Queen Creek. Each discount carnival ticket can be exchanged for an all-day wristband or 40 single tickets. For example, if a family has four children they could pre-purchase four unlimited passes ($100 value) for $72; or they could buy two pre-sale passes for $36 (onsite cost of $68) and receive 80 tickets to divide up, giving each child 20 tickets. For a complete listing of events and for additional information visit the Roots N’ Boots website at RootsNBoots.org. FOHP is a 501(c)3 non-profit, incorporated in 2010 to support Horseshoe Park Equestrian Centre in Queen Creek, AZ. as well as to help foster the rural heritage of Queen Creek. As an organization, FOHP helps to organize, run and support special events at HPEC. FOHP are the hosts of the annual community event, Roots N’ Boots Queen Creek, which celebrates the Queen Creek rural heritage by providing multiple days of family oriented fun centered around an agricultural theme. The 2018 event will be held March 15-18. 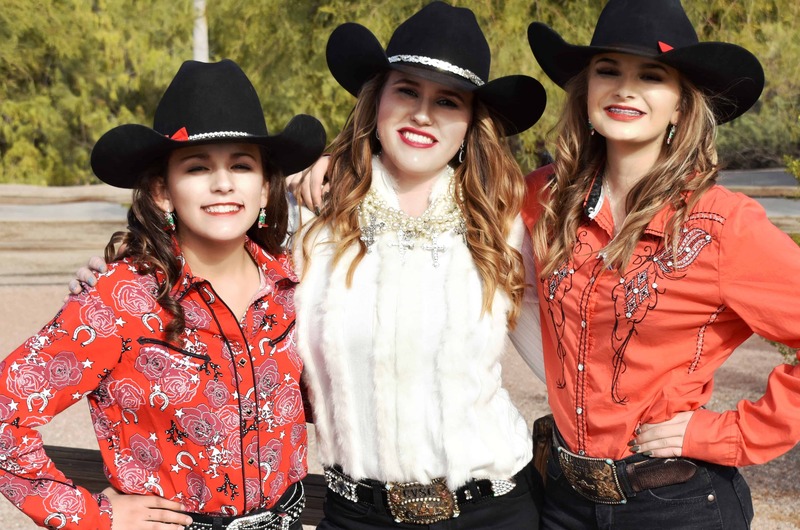 Presented by Banner Ironwood Medical Center, this multi-day event offers a PRCA Rodeo, vendors, carnival, entertainment, and multiple family activities for all ages.